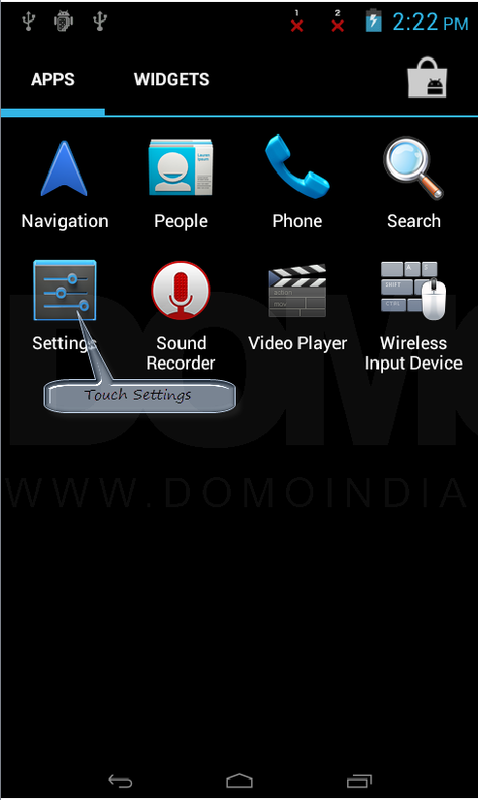 KnowledgeBase » How to set screen orientation in X3G SE? 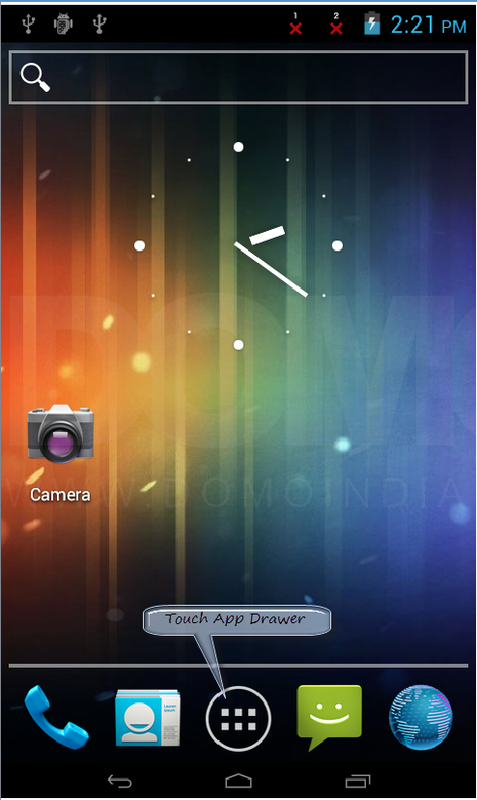 Screen orientation of X3G SE’s HOME Screen cannot be changed irrespective of the settings. 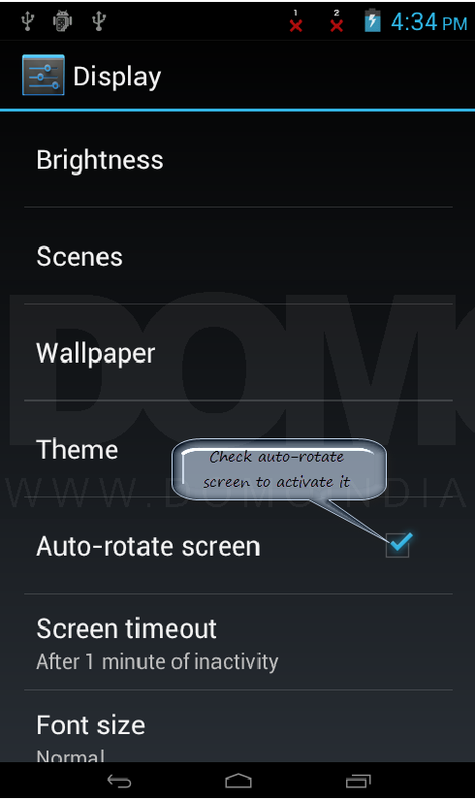 However, if auto-rotate is activated then orientation of the screen will change in applications. Touch the App Drawer icon. 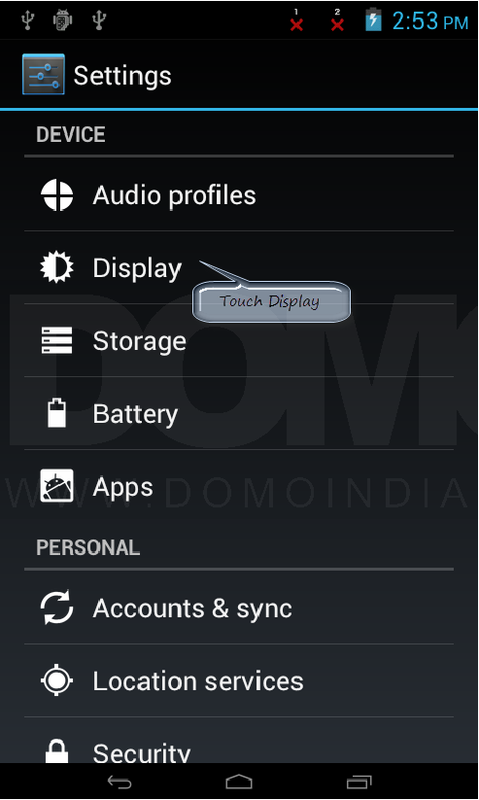 Touch Settings from App Drawer Menu. In Settings, select “Display” located under DEVICE sub-menu. Check Auto-rotate screen to activate. KnowledgeBase > Slate > DOMO X3G SE > Slate X3G SE General (ICS) > How to set screen orientation in X3G SE?